WVU Crop Top // This crop top is one of my favorite WVU game day pieces! 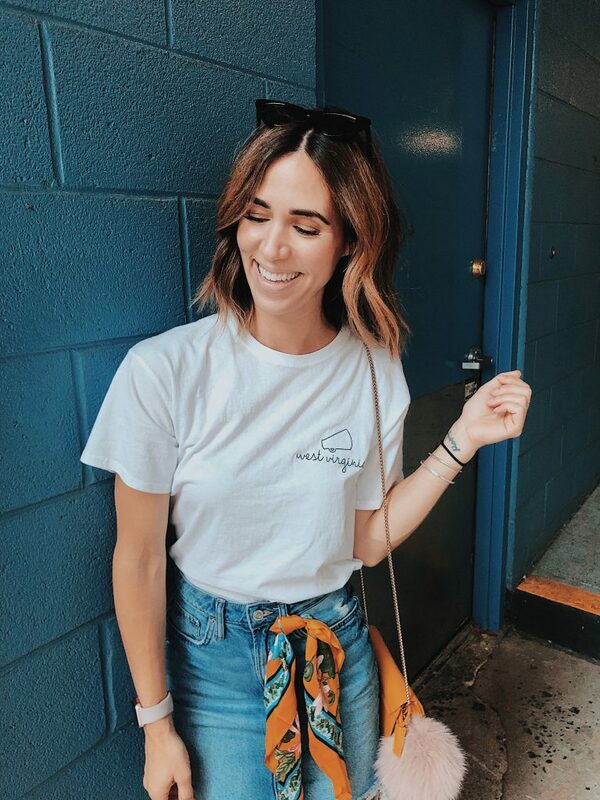 The simplicity of the shirt makes it really versatile to wear across seasons or to take from day to night! League Collegiate Outfitters is one of my favorite game day brands – their collection has a vintage / Ivy League vibes. Right now all tops are buy one get one at the WVU Bookstore – there are 10+ weeks left of football so time to stock up! H&M Denim Skirt // Denim is a game day go-to! It was 90000000 degrees in Charlotte for the home opener so I needed something that would keep me cool and not show all the sweat marks! Stan Smith Sneakers // On game day, you are always on your feet jumping around from tailgate to tailgate and walking to the stadium, these Stan Smith sneakers are the perfect fashion sneaker to be paired with your look and with stand the long days of game day! Furla Mini Bag // Most stadiums are starting to adapt the NFL bag rule which means you are restricted to the type of bag you are allowed to bring in. 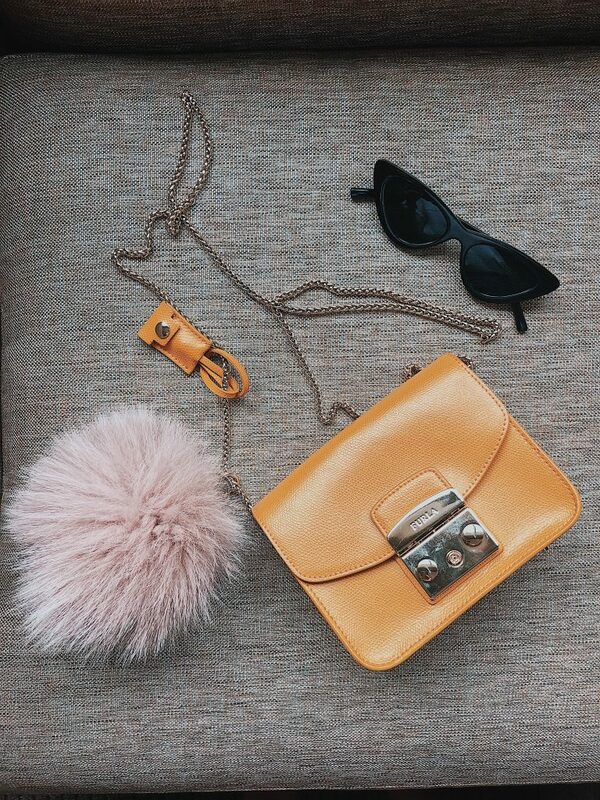 This Furla bag just makes the cut and thank goodness cause it’s my go-to game day yellow bag! 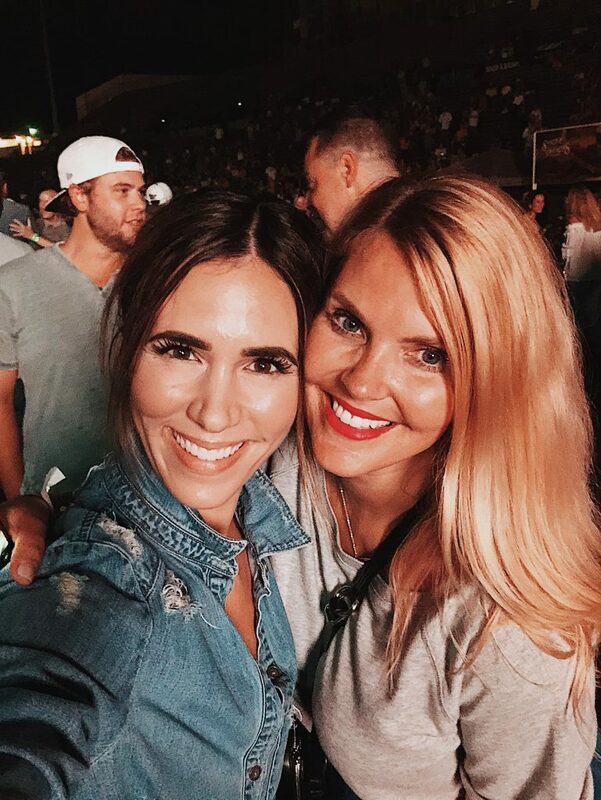 We kicked off the weekend with a Brad Paisley and Kane Brown country concert under the Charlotte stars! Brad Paisley is from West Virginia so of course he played the WVU anthem…”Country Roads”. 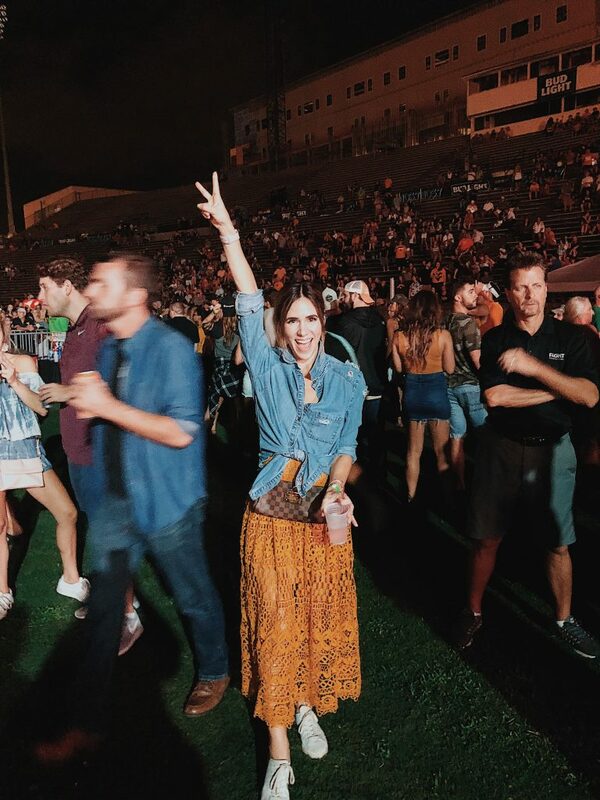 There is just something about country music, summer and a cold beer under the stars – it was the best way to start the game day weekend! Game day morning we woke up and visited the cutest coffee shop in Charlotte called Not Just Coffee – it’s important to stock up on the essentials before kick-off! The oat milk iced latte did just the trick to kick start our day – oh and you have to try the avocado toast! Their olive oil is soon good! Charlotte has so many fun bars around the stadium really making it convenient for your game day experience since tailgating is really limited. We visited a couple of WVU spirited spots before making our way to Bank of America stadium. This was the first WVU game for my friend so I felt like a proud kid pointing out all the game day traditions to her – now, I’ll never convert her, she is a Wisconsin fan, but I did make her a Mountaineers for the day. From the first down cheers, to dangling keys at kick-off and to swaying singing country roads, there is nothing like a game day weekend, and it’s even better when you walk away with a win! 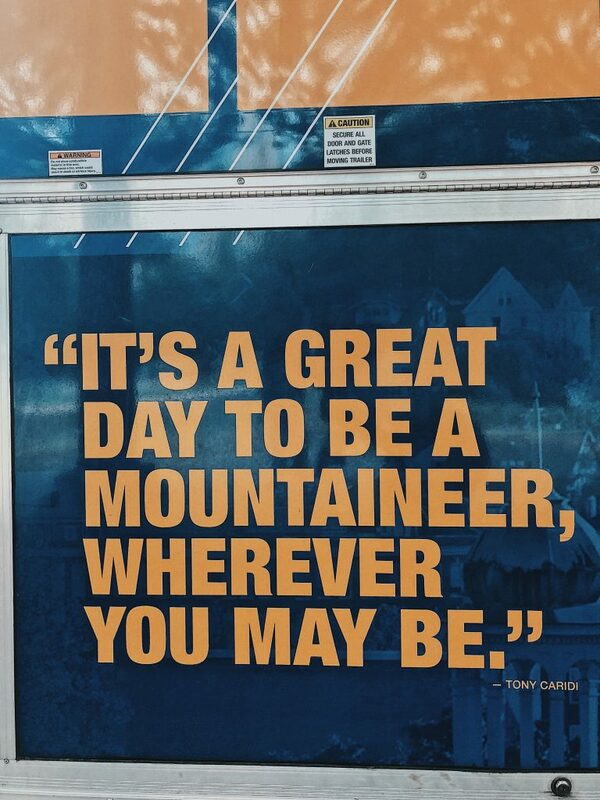 This post is sponsored by IMG and West Virginia Athletics – all thoughts are my own.